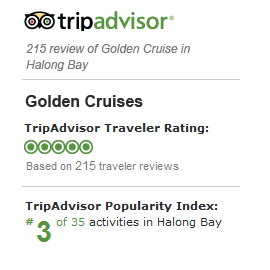 Halong Bay’s upcoming premier cruise, the Au Co has published the contract rates for 2012. Customers, making their bookings before 31st of December 2011 for any departure between March and December 2012, will be entitled to receive an attractive 20% Early Bird discount. Cruising from March 2012 - The twin Au Co vessels with 32 luxury and comfortable cabins each departure daily to provide exclusive and unrivalled cruising experience in the Gulf of Tonkin. As the first and only operator for 3 day 2 night route, The Au Co goes deeper in to the bay visiting Cat Ba Island, Lan Ha Bay, Halong and Bai Tu Long Bays along the way. In different with most cruise in Halong Bay for typical one night stay with visit to tourists area, The Au Co stands out on less travelled route and more time and relaxation. Guests are guarantee a spacious and luxurious cabin with private balcony during entire cruise and do not rely on secondary day-excursion boat to explore the bay. Book now to be the first exploring and experiencing untouched beautiful natures of Cat Ba Island, Lan Ha Bay, Halong Bay and Bai Tu Long Bay in March 2012!